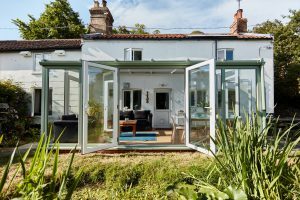 The Anglian team recently visited the home of Ms Clayton and Mr Thomas to give their garden room a stylish upgrade. 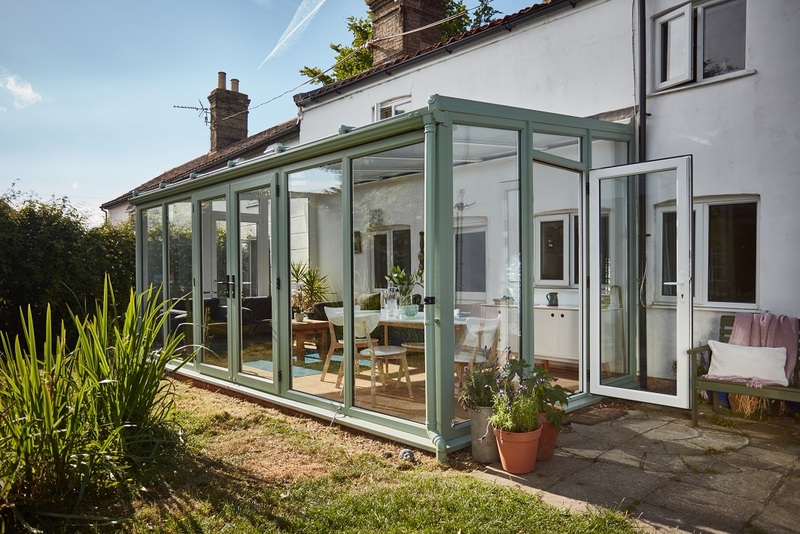 We built a uPVC garden room in a fresh sage green, creating space for a cosy sitting room that completely transforms their backyard – it’s the perfect place to enjoy the Spring sunshine. Q: Please can you explain why you decided to have a conservatory installed? A: Our existing DIY conservatory was too small and in need of major maintenance. Q: What made you contact Anglian in the first place? A: Anglian was included in a range of quotes. We regarded Anglian as a quality installation but possibly too expensive. Q: Did you speak to any other companies, and if so what made you decide to choose Anglian? A: Yes. Some were clearly cut price but we were suspicious of build quality – for example, some said we could use the existing base. Anglian was a bit more expensive than the other “quality” quotes, but only marginally. Q: Can you tell me if or how the visit from the sales rep helped you in your decision and final choice of style, colour and materials? A: I think we had ideas for the style, colour and material but the sales rep advised what was possible. Q: What’s your opinion of the Anglian service and installation you’ve received; did you have any concerns or requirements? A: The black plastic on the door handle has partly come off. The installers were efficient and cleared away all mess. Q: What’s the BEST thing about your new installation and what main differences have you noticed since having your installation? I.e. : energy bills, warmer, sound reduced, etc. 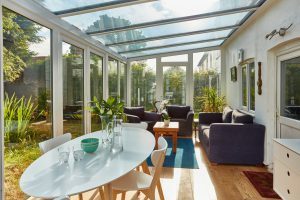 A: The reflective roof is effective in keeping temperatures down in the Summer, which means we get a lot more use out of our conservatory. Feeling inspired? Get in touch to see how Anglian can help create your dream garden room here.